In this tutorial you will learn about Java NullPointerException and ways to fix this. A runtime error that can be handled by the programmer is called an Exception. 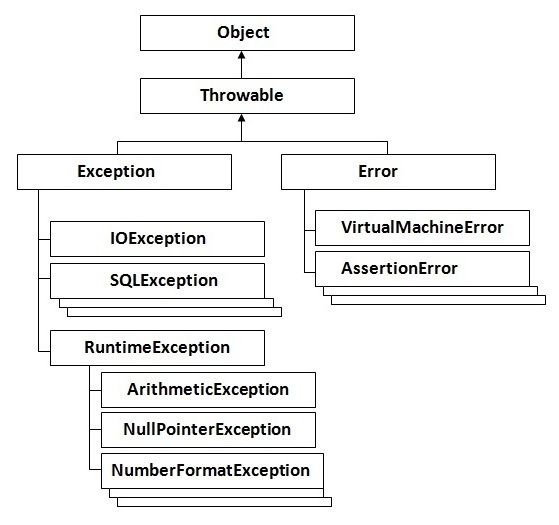 Some exceptions that are checked at compile time are called Checked Exceptions, these also called compile time errors. But the term we are using Exception only refers to Unchecked exceptions which are checked by JVM but not by compiler. Java.lang.NullPointerException is one of the most common exception in Java that programmers mostly face. Note: Whenever I am referring Unchecked Exceptions, consider it as NullPointerException also. Because this is one type of Unchecked Exception. Since everything in Java is a class, errors are also represented by the classes. So there is a class called NullPointerException in Java. Throwable is class that represents all errors and exceptions in Java. That means Throwable contains two type of classes Error and Exception. All exceptions super class is “Exception”. NullPointerException is come under RuntimeException. So NullPointerException extends RuntimeException. There are mainly 4 reasons for the occurrence of NullPointerException in Java. If a string is declared as null and we try to perform any actions on it even if we apply inbuilt functions on it. It will throw NullPointerException. If any object reference is null we can’t perform any operations on it. First an object should be instantiated to use further in-order to avoid null pointer exception. If we create an object of another class and try to access the uninitialized data members of that class, then it will raise null pointer exception. One thing is sure that we shouldn’t avoid the using Null in Java. It says that no value is assigned to reference variable. It has various applications also. When we implementing data structures like linked lists we should use Null. Since we shouldn’t avoid, we should handle it. There are some methods to do this. Try to stop the null at design level only. Don’t allow the possibility of null value in object. Always declaring and initializing reference variables is best way before using them. The mostly effected NullPointerException values are Arrays. So it’s better to initialize the values of arrays immediately after declaring them. Simply we use ternary operator for small problems. When passing parameters to methods check them that they shouldn’t be null. Java has some primitives. We know that primitives contain some default values even we didn’t assign anything. But objects can have null value. So it’s better to use primitives than objects. Try to avoid writing more methods in one line (chained methods). Never return null from methods. Since valueOf() and toString() work in same way. So use valueOf() instead of toString(). Example: In example mentioned earlier, write this line System.out.println(String.valueOf(prog));, this will print “null” but not gives error. Use better comparison method than .equals(“string”).